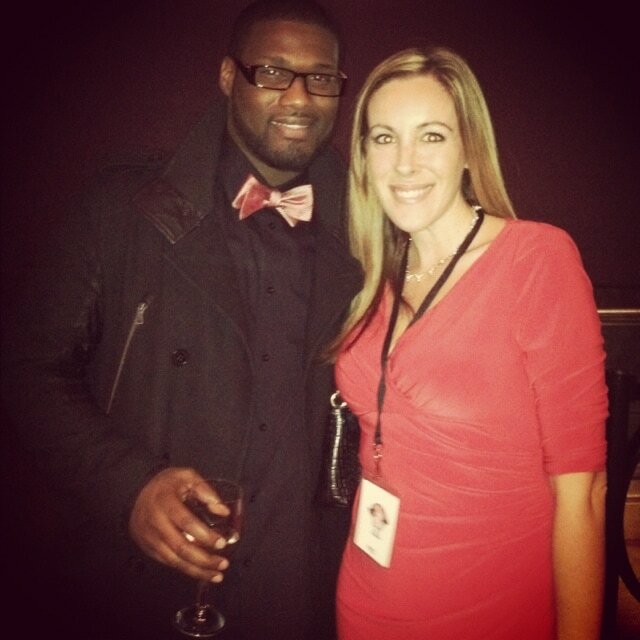 I always LOVE LOVE LOVE to attend the Red Dress Awards. I am guaranteed a good cry and a great time. The musical performances last night just blew my mind. At one point, I realized my mouth was wide open… and then I forcefully shut it. I’ll get to that group in a bit. 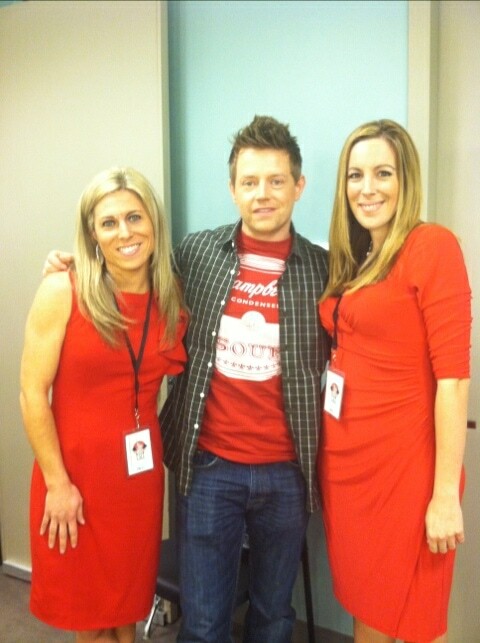 Campbell’s invited us backstage to interview Campbell’s spokesperson Richard Blais. You might remember him from Top Chef. That man is a MASTER in the kitchen. He was personable and approachable – which Audrey and I loved. We laughed. We joked and he was a real pleasure to be around. Here’s Audrey McClelland and my interview with Richard Blais. 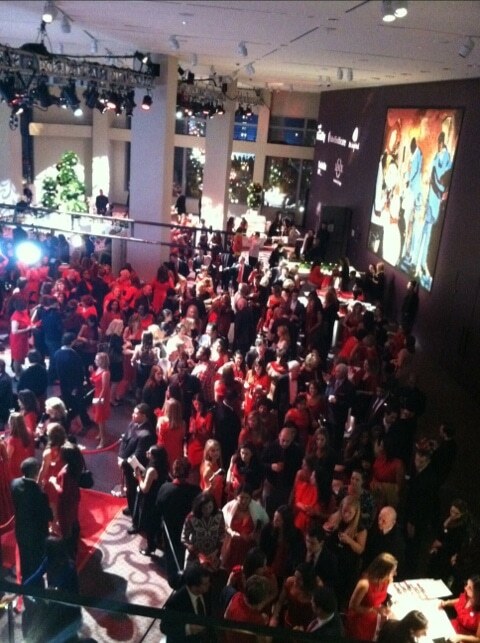 Of course Audrey and I were dressed in RED. The entire room was filled with amazing creations from every designer under the sun. I was so happy with my choice because I knew what a bargain I got when buying it. 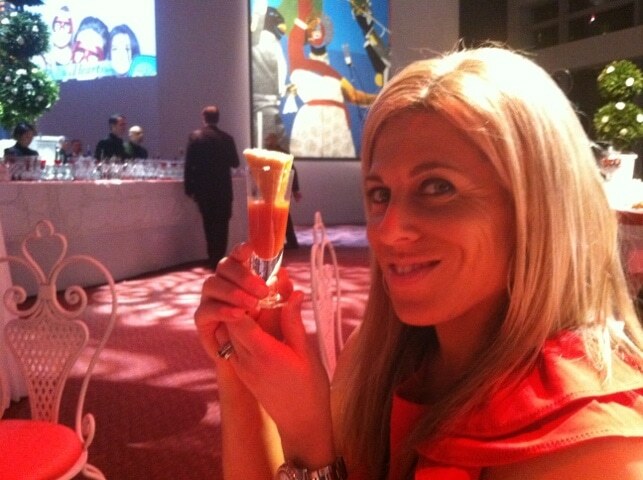 Campbell’s provided the food for the Women’s Day Red Dress Awards. Their Chef Thomas sat down with us to talk about his inspiration. Check out his version of grilled cheese and tomato soup. LOVE IT! 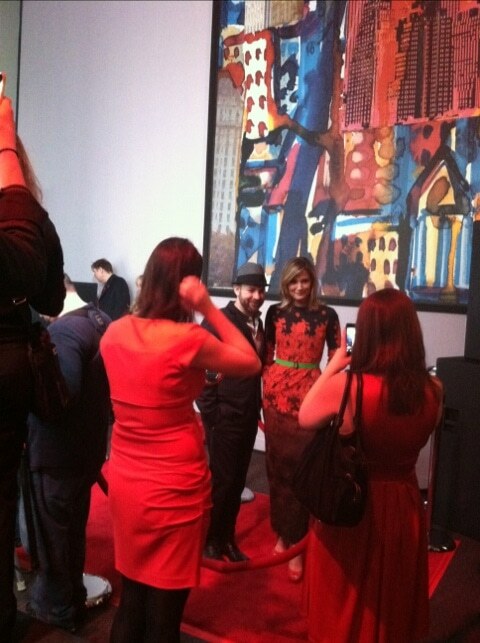 Now onto the celebrities and musical guests – Sugarland is a MUST OWN. They are amazing!! Her voice was unbelievable. I’m telling you. I’m purchasing their album when I get home. 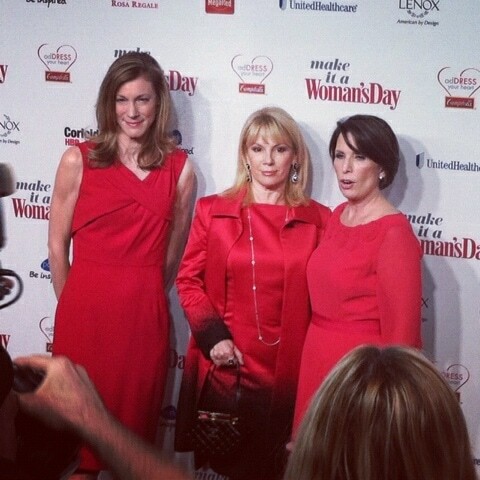 Ramona from the Real Housewives of NY walked the red carpet at the Woman’s Day Awards. Hoda and S. Epatha Merkerson were all smiles. 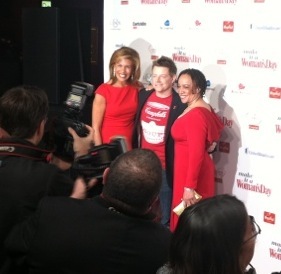 And Caroline from the Real Housewives of NJ also showed up in red. 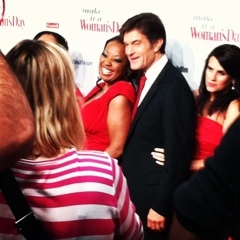 Now THIS is just for my mother – Dr. OZ! I almost ran onto the carpet to take a shot with him. My mom doesn’t say a sentence unless it starts with “Well, Dr. Oz says…”. He came at the end though and I didn’t have a chance to attack. While he was on the red carpet, we were asked to find our seats for the presentation. 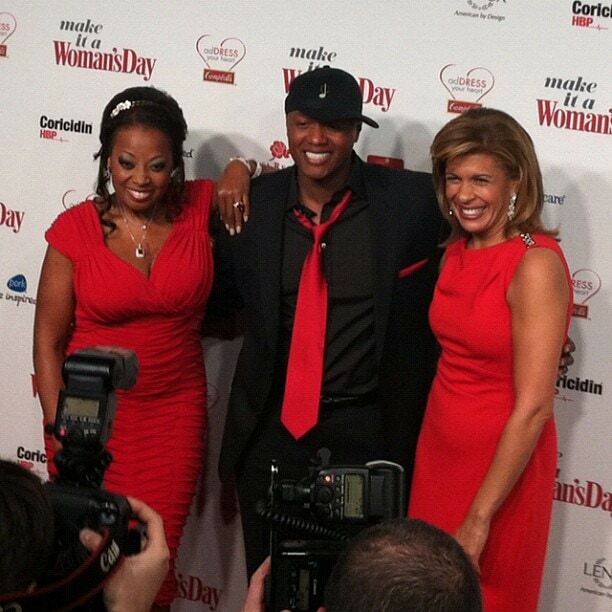 He’s posing with his wife and Star Jones – who is the national Heart Association volunteer. She had open heart surgery a few years ago and has been involved with the organization ever since. As I found my seat, I snapped this picture of the sea of red. Ok so technically I wasn’t suppose to snap this picture. But I took it before I knew that rule. 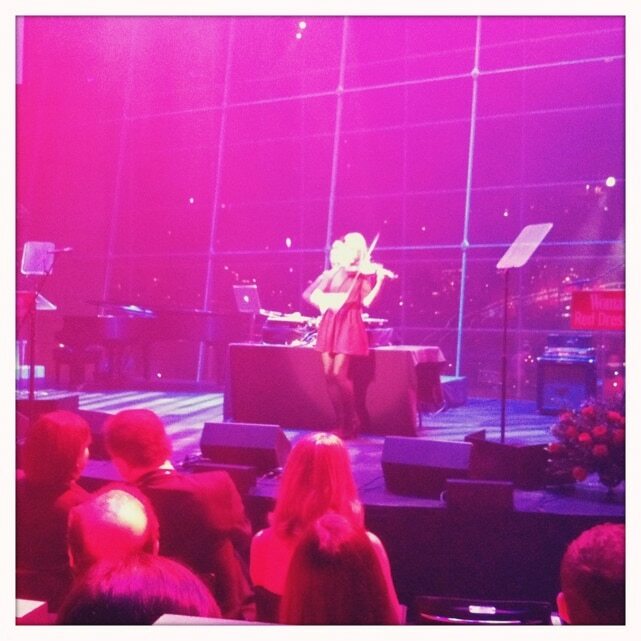 Have you heard of DJ Mia Moretti and violinist Caitlin Moe? HOLY SMOKES OUT OF CONTROL. They were amazing. We also heard Javier Colon (From The Voice) sing and yes… I cried. Don’t have a pic of him on stage though. Now THIS is the group to watch out for – Naturally 7. Out of control!!!!!!!!!! No instruments – they just use their own voices. I was in love. My jaw was to the floor. 7 guys all from NY (holla!) just singing their hearts out and putting on a really great show. Mark my words – this is the group to look out for. 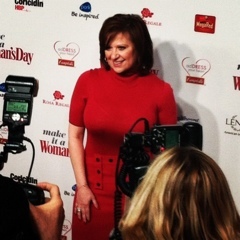 Again – thank you to Campbell’s for inviting us! Love the recap Vera and your red dress was amazing for $1.00!! You rocked it!